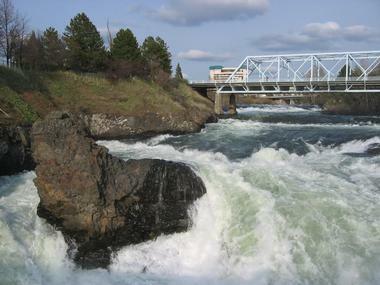 Spokane is home to beautiful parks, waterfalls, unique museums and great activities. Explore the downtown shops and restaurants, listen to a performance by the Spokane Symphony orchestra, enjoy wine tasting and go hiking along one of the scenic trails in the area. Visit Mobius Children’s Museum and Riverfront Park which is a favorite with families because of its kid-friendly attractions and a chance to spot local wildlife. 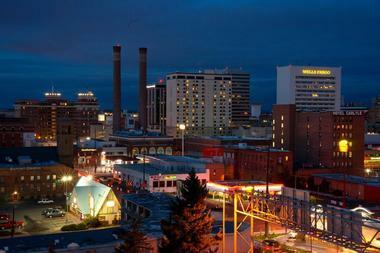 Here are the best things to do in Spokane, Washington. You can see people picnicking, kids playing baseball, and bird watchers peeking into the trees of Manito Park any time of the year. In the spring, summer, and fall, this 90-acre park in Spokane’s South Hill neighborhood is a beautiful place to visit and smell the roses, visit the Japanese garden or the dahlia garden, stroll along the paved paths, or sit on a bench and relax. Ducks and geese are frolicking in the pond and the conservatory is full of exotic desert and tropical plants that thrive year round. In the winter when the flowerbeds are covered in snow, kids take over and enjoy sledding down the hills. Manito Park has been around since 1903, and it continues to provide Spokane residents with a peaceful, well-tended oasis and a space to enjoy the nature. 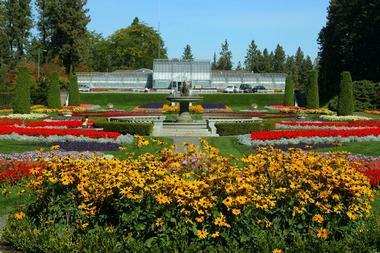 Manito Park is one of the best things to do in Spokane, Washington. The falls are divided into two parts: the Upper Falls is the site of the Upper Falls Dam built in 1920 while the Lower Falls features the Monroe Street Dam, which was built in 1890 and generates hydroelectricity for the city. 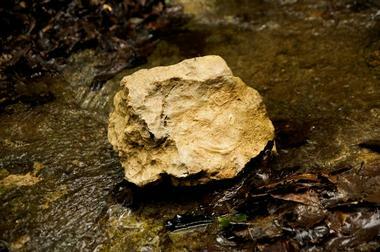 The Friends of the Falls is an organization that protects and preserves the falls and the nearby river gorge. 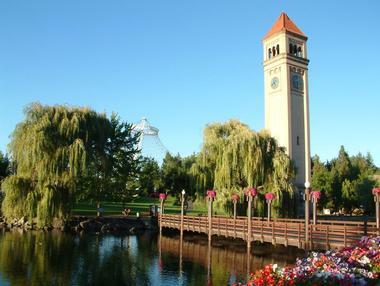 Riverfront Park is one of the most spectacular American urban parks. 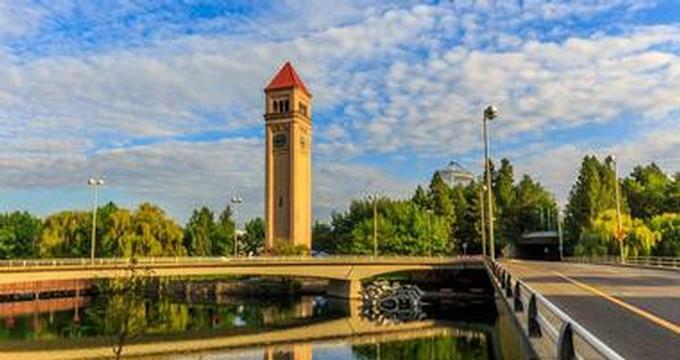 It covers 100 acres of land and includes an island, the magnificent Spokane Falls and River, the 1902 Clock Tower, the Expo '74 Pavilion, the 1909 Looff Carrousel, and so much more. Kids can play in the giant red wagon, cool off in the huge Rotary Fountain, or take a long hike through the meadows and wild conservation areas. If you are wondering what to do in Spokane with kids, this is a great place to visit. 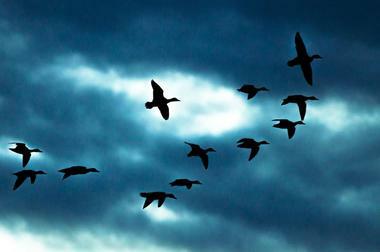 You can spot ospreys, marmots, beaver, ducks and geese. If you are not big on walking, try the Spokane Falls SkyRide for a bird’s eye perspective. The Martin Woldson Theater at The Fox started its life in 1931 as a Fox movie theater. Renowned architect Robert Reamer designed the beautiful Art Deco building. At the time, with 2,300 seats, the theatre was the largest in Spokane. It featured the most advanced modern movie technology and was the only air-conditioned Spokane building at the time. Spectacular murals by Anthony Heinsbergen decorated the mezzanine and auditorium. The theater also hosted many stage performances by stars such as Frank Sinatra and Catharine Hepburn. In 2000, the theater was slated for demolition but was saved and renovated mostly by the efforts and funding of Martin Woldson and his daughter. Today, the theater is home to the Spokane Symphony and offers a wonderful stage for the performing arts in Spokane. It is listed on the National Register of Historic Places. Downtown Spokane is made up of several areas that provide dining, shopping, and entertainment opportunities for residents and visitors. The Entertainment District includes the Martin Woldson Theater at The Fox, the 20 screen AMC theater, the Knitting Factory Concert House, and many bars and restaurants. The Cork District and the Inland Northwest Ale Trail provide two ways of sampling Spokane’s wines and brews. The Spokane River runs through the city, and some consider it to be the most beautiful city river in the United States. If you are wondering what to do in Spokane, Washington today, this is a great place to start exploring. Spokane’s Riverfront Park is home to scenic meadows, an IMAX theater, the 1909 historic Looff Carousel, and other rides and attractions. The Northwest Museum of Arts & Culture, located on West First Avenue in the Browne’s Addition neighborhood of Spokane, is a museum with collections of art and artifacts related to the history of the local region, Native American Indian culture, and other cultures and works of fine art. Known locally as MAC, the museum features five underground galleries, an auditorium, an education center, an outdoor amphitheater, and a store and cafe. Formerly known as the Cheney Cowles Museum, the museum also owns and conducts tours of the nearby historic 1898 Campbell House, which is listed on the U.S. National Register of Historic Places. Located on West Woodland Boulevard on Sunset Hill along Garden Springs Creek in Spokane, the John A. Finch Arboretum is a 65-acre public arboretum. Founded in 1949 and named after a Spokane businessman, the arboretum features over 2,000 shrubs and trees. It is known for its collections of conifers and maples, as well as its rhododendron grove and its many lilacs. The arboretum is also the home of a nature trail called the Touch and See Nature Trail, which is owned by a local Girl Scout organization. 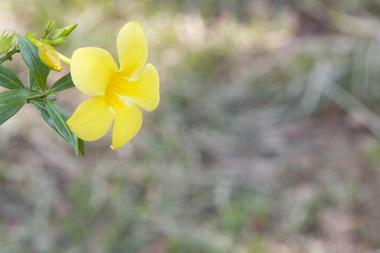 Tours of the arboretum are conducted, and there are events and activities held there throughout the year. 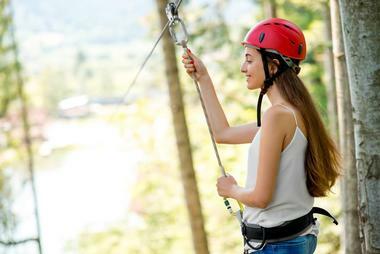 Mica Moon Zip Tour is an exciting way to see some of the wild nature around Spokane from high above the treetops. The tour lasts about two and half hours, and starts at the Liberty Lake Portal about halfway to Mica Peak. From the lake, you will drive a UTV along scenic trails to the top of the company property, where you will be strapped into a safety harness and given instructions on safe ziplining. Mica Moon tour takes you over forest glens, across a valley, over a mountain stream, and over Mica Moon historic prohibition-era moonshine camps. You will see most of these attractions as you hang from a line high in the treetops, but the tour also includes two trail hikes, giving you the opportunity to spot hawks, elk, and other wildlife. Located on West Charles Road about nine miles northwest of Spokane in Nine Mile Falls, Riverside State Park is the largest state park in the state of Washington. The park consists of several areas such as the Bowl and Pitcher, the 1,500-acre Little Spokane River Natural Area, and the 600-acre Nine Mile Recreation Area. There are many activities in which visitors to the park can partake, including biking, bird watching, boating, canoeing and kayaking, as well as camping, fishing, swimming, and picnicking. The area also features the Spokane River Centennial Trail, a 37-mile long trail, and visitors can learn about Spokane Indians, early pioneers, and fur trappers and traders at the Spokane House Interpretive Center. 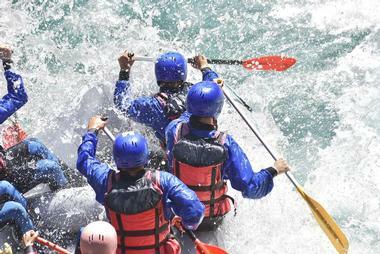 ROW Adventure Center is an outdoor activity tour company that offers whitewater rafting and other activities in Spokane. Spokane is special in that it has a scenic river flowing through it, and it is popular with visitors to the city; the Riverfront Park, the gorge, and the Spokane Falls are very scenic areas. The Spokane River Rafting tour offered by ROW Adventure Center begins downstream from the city. There is an eight-mile stretch of the river that is very dramatic in appearance, and features rock cliffs, Ponderosa pine forests, and wildlife such as osprey and eagles. When the water levels are low, the company provides rafters for visitors to float down the river. Centennial Trail is 37.5-mile long hiking and biking trail that starts at the state line between Washington and Idaho and finishes at Nine Mile Falls in Washington. Part of the trail goes through downtown Spokane and through Riverfront Park before continuing to more rural areas to the east and west. The trail mostly follows the Spokane River and provides access to all kinds of outdoor activities such as hiking, biking, bird watching, camping, skiing, snowshoeing, and many others. Most parts of the trail were finished by 1991, and all 37.5 miles of the trail are paved. Centennial Trail links with the North Idaho Centennial Trail, and together they connect the communities of Spokane and Coeur d’Alene. Mount Spokane Ski & Snowboard Park is a ski resort located on North Mount Spokane Park Drive. The park is located within the Mount Spokane State Park approximately 23 miles northeast of the city of Spokane. 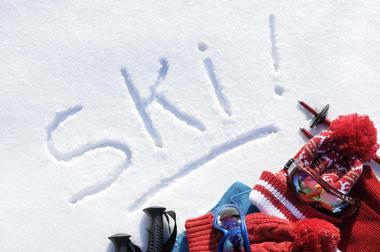 There are five chairlifts to take skiers and snowboarders from the base to the peak at 5,889 feet. The park also features nighttime skiing, a tubing hill, and lodges. The historic Vista House at the summit was built in 1933 and provides hot food and drinks on the weekends and on holidays. The park offers rentals and lessons for children and for adults as well as special programs, including day care for children. Making burgers fresh every day really makes all the difference in the world. When Wisconsinburger brought their Midwest burgers to the spacious and welcoming shop on Spokane’s South Hill, people instantly fell in love with them. Really, their success is not owed to some big secret; they simply use locally sourced prime beef that is freshly ground every morning, hot and crunchy artisan buns made in the neighboring Alpine Bakery, and a special import from Wisconsin: their original cheese curds. 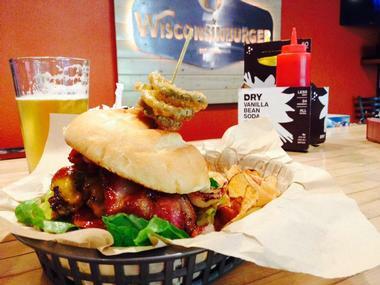 Wisconsinburger also has the skilled hands of Chef Tim Ahern, who puts an artist’s twist on his concoctions. To accompany these fabulous burgers cooked to perfection, you can get one of eight rotating taps of craft beers or 90 other kinds of beer in bottles or cans. If you have never tasted a piece of injera dipped in the thick sauce of Yesiga, you are in for a (very spicy) treat. Injera is a traditional Ethiopian bread, a soft, spongy crepe used to dip into stews such as Yesiga We’t, beef stew simmered with garlic, onions, tomatoes, ginger, and authentic Ethiopian spices. They serve it at Queen of Sheba just as it is served in Ethiopia – on a large communal platter meant to be shared between family and friends. There are no forks or spoons, just a lot of injera. The restaurant is small and nicely decorated with original Ethiopian ethnic art, but the true art comes from the kitchen. 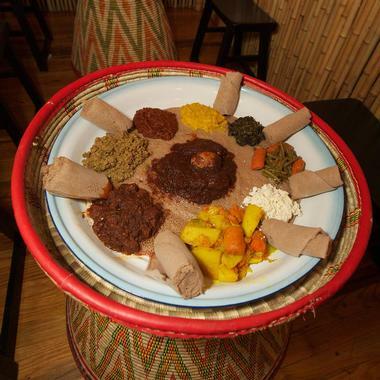 Ethiopian cuisine is one of the oldest in the world, so they have had some time to perfect it. Every bite is a discovery; go through their appetizer list to get a good idea of the mix of ingredients, spices, and cooking techniques typically used. Queen of Sheba also serves great Ethiopian coffee, which is as addictive as the superb, flavorful food. The Spokane Symphony is a professional orchestra that performs most of its concerts at the Martin Woldson Theater at The Fox on West Sprague Avenue. Founded in 1945 as the Spokane Philharmonic, the 70 member orchestra was renamed the Spokane Symphony in 1962. 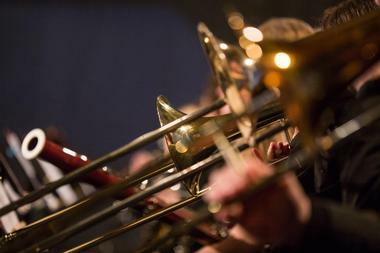 In addition to its regular concerts, the orchestra also plays SuperPops performances and offers two free park concerts (one at Liberty Lake’s Pavilion Park and the other at Spokane’s Comstock Park), and it accompanies the Nutcracker Ballet during the holiday season. The Symphony offers a large variety of education programs including Education at the Symphony, Music Heals with Spokane Tribe, and elementary and secondary school programs. Located on Union Pacific Railroad in the Davenport Arts District in Spokane, Barrister Winery is housed in a 100-year-old 25,000 square foot warehouse with high ceilings and exposed beams and bricks. 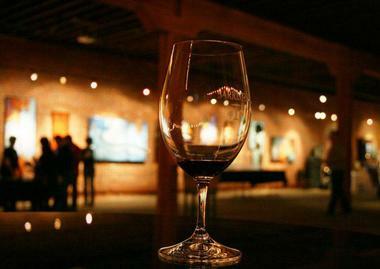 Founded in 2000, the winery features a tasting room, which is open every day, and an art gallery. Some of the wines produced at the Barrister Winery include Cabernet Sauvignon, Malbec, Merlot, Sangiovese, and Sauvignon Blanc, among others. The winery also hosts events such as Wednesdays at the Winery, an outdoor summer evening music series held in the winery’s courtyard. The winery can also be rented for weddings, birthday parties, and other special occasions. 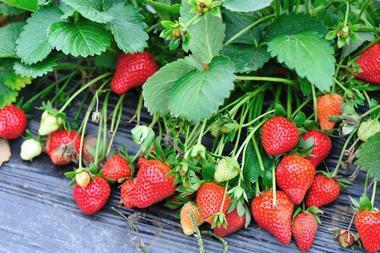 Strawberries were among the earliest crops grown in Green Bluff, but today there are many other things grown here, including apples, apricots, cherries, peaches, and much more. Established in 1902, the Green Bluff Grower’s Association helps farmers with tourism, and in addition to growing fruit, many of the farms offer tours and events such as festivals. Wildlife in the area includes birds like bald eagles, along with coyotes, deer, and elk. Take the kids for a walk on tree-lined 25th Avenue on Spokane’s South Hill and treat them to a fabulous, hot, made-on-the-spot Belgian waffle topped with shop-made ice cream, fruits, and whipped cream. The Scoop is a small waffle and ice cream shop that is quickly developing a reputation for their special recipe for Belgian Liege waffles and ice creams made to order with liquid nitrogen to produce a particularly fine texture with small crystals. The process is quite fun to watch, too. The Scoop also sells great organic locally roasted coffee, and you can have them make you a waffle sandwich with cheese and sausage drizzled with maple syrup for lunch. The Scoop also has a food truck cruising around Spokane, and you can check their website to see the locations it will visit. After decades of serving as a heating plant, The Steam Plant is alive again. It has been meticulously renovated and is now open as an event venue, retail space, a superb upscale Stack restaurant, and a small, ten-barrel craft brewery. Take a tour of the old plant and immerse yourself in the history of Spokane before wandering among catwalks and boilers to the superb Stack restaurant. 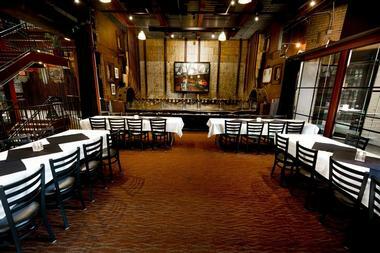 The upscale, elegant décor matches well with the eclectic, modern, and imaginative food. You can expect treats such as shellfish sautéed in smoked bacon, shallots, garlic, and basil and then steamed in The Steam Plant’s Cutter’s Pale Ale or Colorado broiled buffalo ribeye served with the juice of smoked shiitake mushrooms or Pt. Reyes bleu cheese. Wash it all down with one of the superb craft beers brewed just behind the restaurant. Try their signature Double Stack Stout. 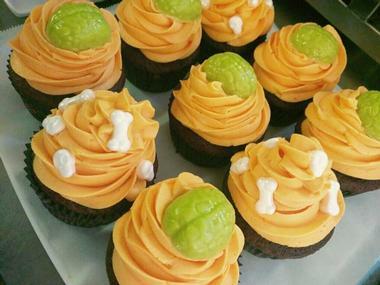 Bright, comfortable, and tastefully decorated, Wild Sage Bistro is the fine dining destination for those who are looking for incredibly fresh, seasonal, and locally sourced food. 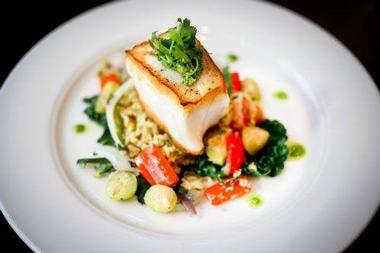 Those who have a hard time finding gluten free fine dining options will also appreciate this eatery. You might think that it wouldn’t be easy to come up with a full menu when you are restricted to what is in season, but you would be surprised. Using local beef, heirloom vegetables, locally caught fresh fish, and fresh fruits and tomatoes, Wild Sage Bistro serves what they call Regionally Sourced Northwest Cuisine. This concept translates into dishes such as Dungeness Crab Wontons – crisp thin wrappers filled with crabs and ginger and served with Thai chili sauce, coconut reduction, and daikon slaw. Sage makes interesting sage-based cocktails and has a small but very good wine list. 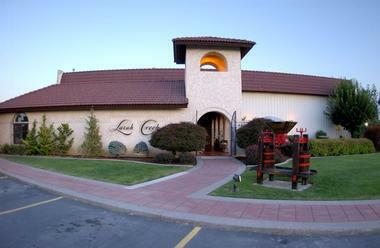 Latah Creek Winery is a family owned and operated winery located on East Indiana Avenue in Spokane. Established in 1982, it is an award winning winery that has been using traditional old world winemaking techniques for over 30 years. The establishment offers tours of the winery, which include a stop at the tasting room. The winery also features a courtyard that visitors can enjoy while tasting the wine, or it can be used for picnics. Latah Creek Winery is famous for its Merlot, but it also produces other red wines like Malbec and Sangiovese as well as white wines such as Chardonnay, Moscato, Pinot Gris, and Riesling. 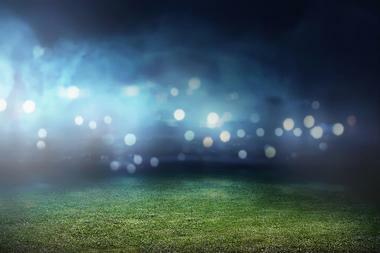 Avista Stadium is an outdoor sports venue located on North Havana Street at the fairgrounds east of downtown Spokane. Opened in 1958 and originally called the Fairgrounds Recreational Park, it is the home of the Spokane Indians minor league baseball team and ten championship teams have played at the stadium. It sits at an elevation of 1,910 feet (580 meters) above sea level and has a seating capacity of 6,803. Other features of the stadium include skyboxes, the Banner Back Diamond Club, a press box, a field level picnic area, and much more. There is also a “Kids Zone” presented by the Shriners Hospital as an area for children to play during games. 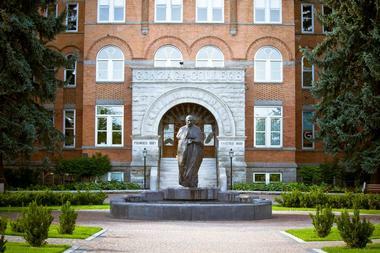 Located on East Boone Avenue, Gonzaga University is a private Roman Catholic university founded in 1887 by the Society of Jesus. Named after a Jesuit saint, Aloysius Gonzaga, the university was founded by Father Joseph Cataldo as a Catholic school for the local Native Americans. 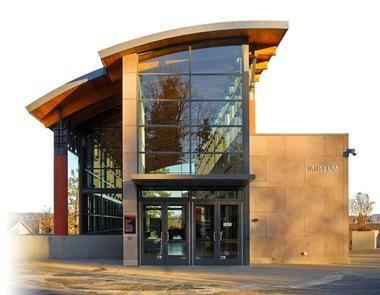 Sitting on 131 acres of grassland along the Spokane River not far from downtown Spokane, the university is made up of 105 buildings including two large libraries and many pieces of art work. The university offers a variety of tours including the Campus Tour, the Residence Hall Tour, and Group Visits which are mostly for high school students. Located on East 12th Avenue, the Cathedral of St. John the Evangelist is the Episcopal Diocesan cathedral of Spokane. 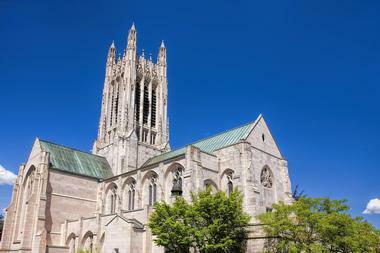 In 1929 three churches merged to form the cathedral: All Saints Cathedral, St. James, and St. Peter’s. The current structure was completed in 1954: it stands 180 feet high (55 meters) and is made of cut sandstone. There are many carvings and stained glass windows that add to the beauty of the cathedral. 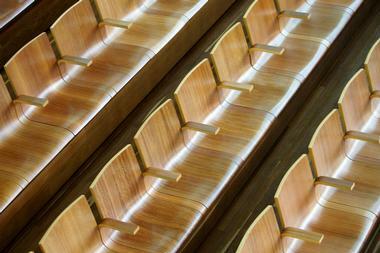 The cathedral organ consists of 4,039 pipes and was designed and built by the Aeolian-Skinner Company. There is also a 49 bell carillon in the Bishop Cross Tower. Mobius Children’s Museum is a hands on art, culture, and science museum located at River Park Square on West Main Avenue. It offers a variety of fun and educational activities for younger children including camps and classes. 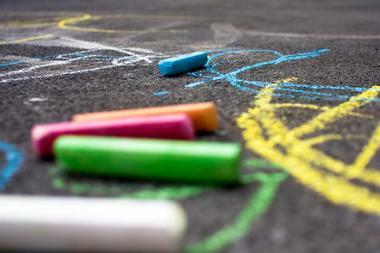 The “Out-of-Hand Art Studio” is a place where children can color, draw, and paint, and create things using a variety of materials such as beads, feathers, and much more.